A quick post from Tomorrow's Thoughts Today (look into the middle column 'Medium Thoughts' and scroll down to "The Deadening of Place...") referencing the new manifesto of the Academy of Urbanism - which is more or less (according to TTT), is the UK equivalent to the Congress for New Urbanism. (insert groan here). This is the first I've heard of this organization, so I wanted to find out more about what they have going on. "The Academy of Urbanism is a high level, cross-sector group of individuals from a wide range of disciplines, brought together to champion the cause of good quality urbanism throughout Great Britain and Ireland. Through discourse, research, education and awards, the Academy actively seeks to promote good urbanism and works towards delivering best practice." "Urban settlements must perform at their fullest potential to advance the quality of human habitation and ensure the survival and recovery of the natural environment, at both a global and local scale. The practice of good urbanism can establish a high quality of living, nurture a healthy and creative way of life, support economic, social, political and cultural activity and deliver robust, distinctive and attractive physical environments. 1. Successful urbanism is the result of a collective vision, realised through creative and enduring relationships between the community, government, developers and professionals involved in its design, delivery, governance and maintenance. 2. The culture or cultures of the people and the ecology of the place must be expressed at a human scale and through both physical and social structures. 3. The identity, diversity and full potential of the community must be supported spiritually, physically and visually to sustain a sense of collective ownership, belonging and civic pride. 4. Vibrant streets and spaces, defined by their surrounding buildings and with their own distinct character, should form a coherent interconnected network of places that support social interaction and display a hierarchy of private, commercial and civil functions. 5. There must be a permeable street network with pedestrian priority that gives maximum freedom of movement and a good choice of means of transport. 6. Essential activities must be within walking distance and there should be a concentration of activity around meeting places. 7. Places must provide a diversity of functions, tenure, facilities and services; have a mix of building designs and types; and include a variety of appropriately scaled districts and neighbourhoods. 8. The social, cultural and economic needs of all inhabitants must be capable of being met without detriment to the quality of the lives of others. 9. Security should be achieved by organising the urban environment in ways that encourage people to act in a civil and responsible manner. 10. The pedestrian environment should be closely associated with active frontages at street level and there should be an appropriate intensity of use in all areas at all times. 11. The design of spaces and buildings should be influenced by their context and seek to enhance local character and heritage whilst simultaneously responding to current day needs, changes in society and cultural diversity. 12. The public realm and civil institutions must be supported and protected by sound and inclusive processes that respond to the local community and changing economic and social conditions. 13. Decision-making for the ongoing development and management of the urban fabric must engage stakeholders and the local community through public participation. 14. Diverse, accessible, affordable and active villages, towns and cities will encourage successful commercial activity, promote prosperity and support the well being of their inhabitants. 15. New and existing places must respect, enhance and respond to their local topography, geology and climate and connect to the natural environment within and around them. 16. Urban parks and other landscaped areas should provide space for recreation, encourage biodiversity and help support a balanced environment. 17. New urban forms should be capable of adaptation over time to meet changing needs and to promote the continued use of existing resources, including the built environment. 18. The built environment must seek to minimise the use of carbon-based products, energy and non-renewable resources." While priniciples and checklists of any kind (i.e. LEED ND, Living Sites & Infrastructure Challenge, Sustainable Sites, etc.) 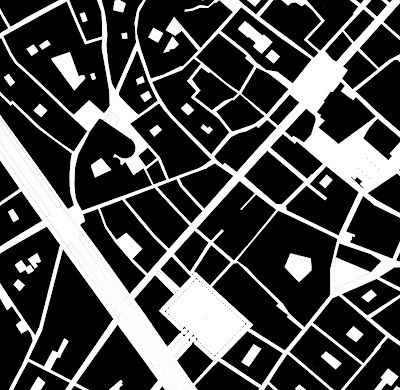 are laudable in the attempt a distilling complex urban methods, what they tend to do is oversimplify and make formulaic ideas that really cannot be translated into a concise statement or summary. This is not to say that we need to throw out the idea of generalization - as they can provide a compelling story of our goals for urbanism, but rather to acknowledge the messiness of the process. This is similar to the CNU Charter, which boils down complex urbanism into key points. It's the gritty details where the divergence occurs. The same ideals permeable most talk of sustainable urbanism, such as collaboration, inclusivity, adaptability, walkability, a mix of uses, responsiveness to place, and much like CNU, a newfound realization of the need for green principles as well (even though all of these things are innately sustainbility-based). Will these, and the CNU's principles, lead to placemaking that achieves all of these ideals - or as Tomorrow's Thoughts Today mentions, lead to the deading of place - similar to how Project for Public Spaces has hijacked public space design based on good, yet over-simplified principles of spatial configuration and social cohesion. For instance, Tomorrow's Thoughts Today extracts some key points of this manifesto to take exception to... namely 1,2,6,8, and 14. The gist of their arguments, which are worth reading, are some of the same concepts of over-simplification, such as thinking about urbanism as a tangible ideal (Principle #1), due to it's inherent unknowability: "Urbanism is by nature non-linear and not governed by simplistic cause-and-effect equations. An urban place, including a successful one, can have risen as an unintended consequence of a designed intervention, and may well have arisen from a total lack of design or intent." Read the rest of their comments, which in summary are concluded such: "Such a manifesto presents a deadening of the very idea of what a place could be. It elevates a romantic if not retrograde idea of place to a singular ideal and presents an 18-point design manual as a job description for all UK urbanists. It fails to live up to the authorship of something so prestigous sounding as an academy of urbanism. It belies complexities (and unknowabilities) of the urban process and excludes the pursuit of new methods, tools and products with which to enact upon the realm of the urban. Any urbanist worth their scale rule would do well to distance themselves from them."